Get information on myeloma diagnosis, symptoms, causes and treatment. Come along to one of our friendly events and meet other people whose lives have been affected by myeloma. Join us for the ultimate ride experience. 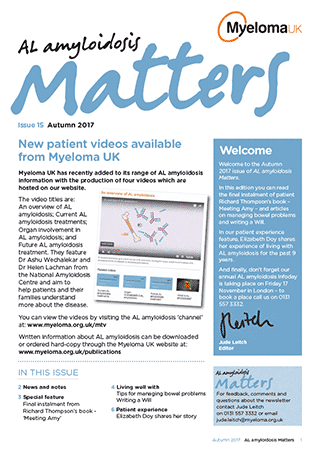 Information plays an important role in helping come to terms with a myeloma diagnosis and understanding options around treatment, care and living well with myeloma. We are always here to help. Speak to one of our trained and qualified Myeloma Information Specialists. Email us or call 0800 980 3332. 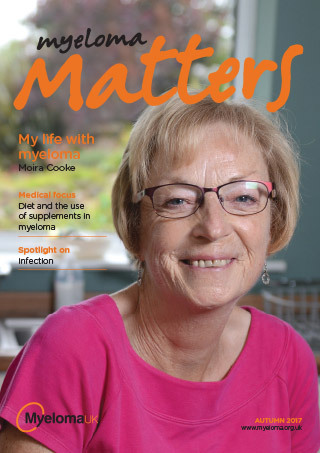 Helping carers and family members gain a better understanding of myeloma. The Myeloma UK research strategy is collaborative, mission-driven and strategic in its allocation of resources and motivated by results. We don't just provide resources and support for patients, but also for Healthcare professionals - offering more detailed information about the latest treatments, improvements in clinical practice and material designed specifically to meet their educational needs.